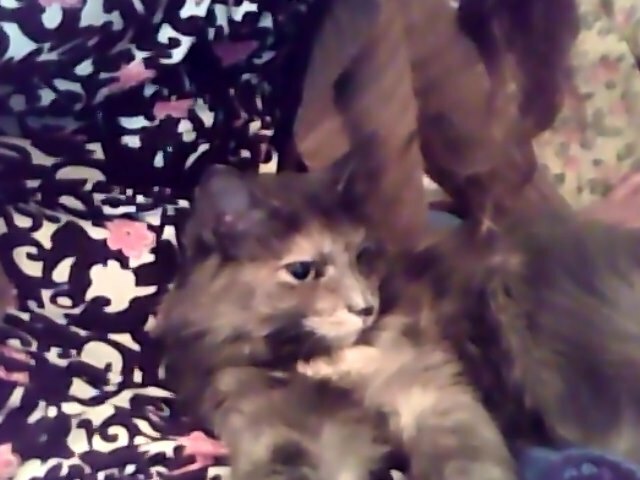 Here we see my kitten on my lap from a webcam picture I took a few days ago. There are two ways to observe Halloween. One is to do stuff and the other is to sit around with your kitten and watch stuff on Netflix all day. My original plan was the second option, because I’m a loser or something. As it so happens, though, Thursdays are the days when I have plenty of time to devote to homework and to all of the pleasure reading and online thing-doing that I don’t have time for during the rest of the week. So the aforementioned kitten and I have just been watching a little bit of internet television today and I have thus not really done anything to observe Halloween. But I have decided to acknowledge the Halloween-ness of today by listing Halloween-ish movies that I have seen and giving my opinion of them. With the exception of one movie that I don’t really remember, I have rated them on a four-category scale from “You’ll have seen all that this movie has to offer if you watch the trailer on youtube” to “You haven’t lived until you’ve seen this movie”. There are sixteen things on the list, including recent horror movies, classics, and family movies that seem related to Halloween. I should perhaps add a bit of a disclaimer saying that I’m not a big fan of horror movies in general, so my opinions on those movies will not necessarily be informative for anyone who has a particular affinity for the genre. I saw this movie on Netflix a couple weeks ago when I was specifically looking for a Halloween-type movie. 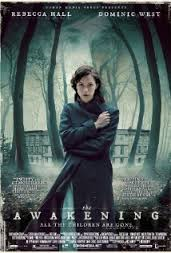 It’s a ghost story set in 1920’s England, and while I won’t give away any of the plot, I will say that I enjoyed it because it’s creepy in a fairly thought-provoking way, rather than relying on gore or special effects to startle the viewer into feeling fear. That isn’t to say that it doesn’t have any gore or disturbing images; I can understand why it’s rated R. (It’s also worth noting that it has more sexual content than is necessary for the plot) But I think that it has value in terms of being interesting, and I would consider it to be a worthwhile horror movie. Although it has nothing to do with Halloween and doesn’t involve any undead or otherwise supernatural creatures, I’m including it on this list because it’s been classified as a thriller. (Cue Michael Jackson music) I’ve only seen it once, and yet I could find quite a lot to say about it, both from a dancer perspective and from an over-analytic English major perspective. But for the purpose of this blog post, all that’s really relevant is its value as a scary movie, and in that sense, it’s very good. I found it to be more disturbing than a typical ghost or zombie story because it feels closer to real life. The frightening aspects of this movie mainly boil down to the mental and emotional problems of the characters; the protagonist in particular has a very weak personality and a progressively fragile grasp on reality. I think it’s actually fairly realistic to imagine that the mental instability that she faces is what would happen to any dancer who somehow managed to rise to such a high status in a major ballet company without developing strength of character. In my opinion, this movie never answers the question of what is hallucination and what is real, and that ambiguity is what keeps this movie in your head long after you’ve seen it. Okay, I admit it; I fell asleep twice while watching this movie and missed probably about half of it, including the end. That’s kind of a bad sign for this movie, because technically, horror movies aren’t supposed to put you to sleep. 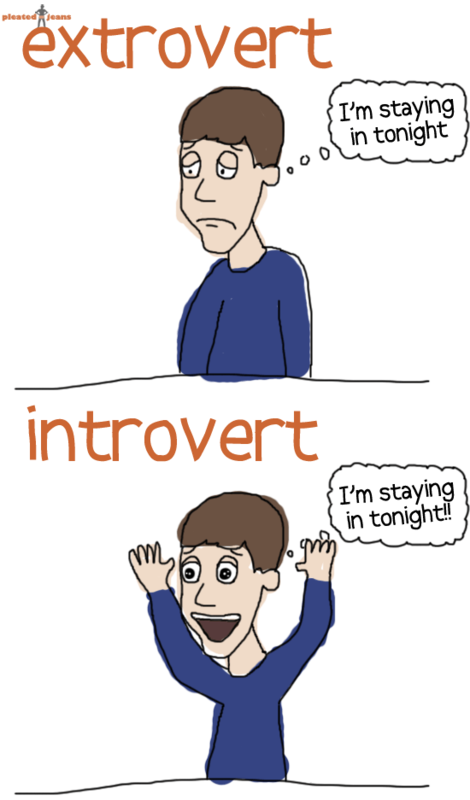 But I probably should acknowledge that it was well past midnight and I was already in bed. From what I saw, it looked like it had some very interesting themes and philosophical ideas, and I’m actually curious enough about it that I might at some point watch it when I’m awake. But it’s certainly not one of my favorites from this list. I felt like the scary parts weren’t very effective and relied too much on gore and special effects, and it seemed to me that it had a lot of unnecessarily mature content. I promise, there will be some non-R-rated movies on this list, but this is not one of them. This movie is a fairly typical high school coming-of-age movie with all of the stock characters and a plot that revolves around who is or is not going to the prom. But then the movie takes a very sudden, yet totally predictable shift into a violent and bloody ending. Maybe it wouldn’t be so predictable if it wasn’t given away by every review or synopsis, but I guess that might be necessary, because an audience doesn’t want to watch a horror movie when they thought they were watching a typical high school coming-of- age movie. With that being said, I thought it was a relatively good movie, but not necessarily deserving of its reputation as a horror classic. Here’s the part where I come to a movie that isn’t a horror movie and that could be classified as a family movie. I don’t really think of it as a Halloween movie, but a prominent part of it does take place on Halloween, so it counts. 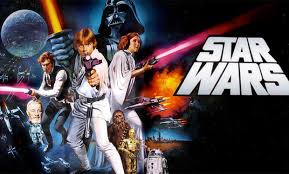 You can tell it’s awesome because the music is by John Williams, and because all of the main characters are humorous and cute and lovable. Just remember: Frankenstein is the scientist dude. 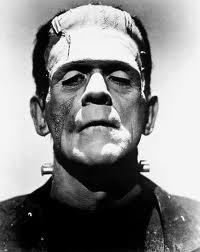 This guy here is called Frankenstein’s monster. I actually don’t remember this very well; I only saw it once and that was many years ago when I was but a small child. But it’s a famous classic and I’ve seen it, so it was necessary to put it on the list. To be honest, I would have totally forgotten this one if my sister hadn’t made a tumblr post that said, “WHO YOU GONNA CALL?” a few hours ago. I saw this movie on Netflix a couple years ago and had high hopes for it because it has an awesome song, but as it turns out, the song is really the only awesome thing about it. I saw this one last spring break, which I mostly spent watching horror movies in my sister’s room, except when I fell asleep during them because I was sick. I don’t think I fell asleep during this one. We were very excited about it because it has Jennifer Lawrence in it and Jennifer Lawrence is cool. I found her really likable in this movie, and the plot was fairly interesting, but not quite enough to make it a really memorable movie that I’m inclined to recommend. I have not seen this movie in such a long time. Now I really regret that I didn’t find time to watch it earlier today. This movie is important, y’all. This one is important, too. 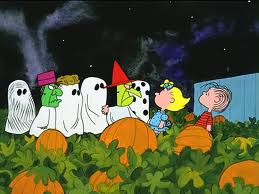 In fact, it was already my plan to watch it tonight, because I always try to watch it within a few days of Halloween. It’s not a horror movie, nor does it take place on Halloween, but it has goblins in it, so that’s Halloweeny enough. It’s a fantasy movie about a teenage girl who accidentally summons goblins to come and kidnap her baby brother, so then she has to go and rescue him, and that’s basically it. But there are lots of quotable lines and entertaining characters and eighties-ness in the meantime. 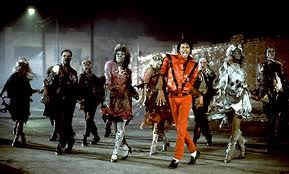 Michael Jackson’s Thriller was the only really good zombie movie ever, as far as I know. Okay, I admit, I’ve only actually watched one zombie movie, and I don’t remember the title. (Although it was definitely one of the really famous ones) I am given to understand, though, that I am correct in my impression that most zombie movies are more or less the same. I don’t really like zombie movies because I feel that they rely on cheap startle tactics rather than playing off of psychological metaphorical connotations to instill fear, which is how horror movies ought to work. For more information, see this blog post from that time I watched that zombie movie. It’s not really a Halloween movie, but it has a Halloween scene that is pretty much the quintessential depiction of the stereotypical old-timey trick-or-treating experience. So it at least earns a mention on a list of Halloween movies. 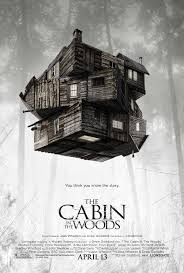 Now we’re back into relatively recent R-rated horror movies. This is another one that I saw with my sisters over spring break. It’s about a family that adopts a girl that turns out to be totally creepy and she kills people and stuff. I found it to be more thought-provoking than my short and facetious summary makes it sound, though. While it did contain some violence and gore, the horror element relied upon basic and relatable human fears, such as harm to loved ones, loss of control, and people about whom nothing is known. This here was the scariest part of Paranormal Activity I. Because, you see, she’s standing there and looking at him. I’ve only seen the first three, or rather, I’ve seen bits and pieces of the first three, and my sisters mocked me for falling asleep repeatedly. Guys, it was late and night and I was sick and had a really high fever that week, okay? Anyway, I actually didn’t really think much of these movies. They are metanarratives in that they are meant to be home videos that the characters are deliberately filming, and for that reason, there’s no background music and the camera never moves unless a character is holding it, and sometimes there will be a few minutes where there’s nothing much happening. I presume that this is intended to have the same effect as in certain old fictional books that have a blurb claiming that they’re true. But in my opinion, the complete lack of any cinematic techniques and effects made the movies dull. The Phantom of the Opera was, for much of my childhood, one of my favorite stories in all of its manifestations. That included the book, the soundtrack with Sarah Brightman, all of the movies mentioned above, and the game that my siblings and I liked to play with the Legos. The Phantom of the Opera isn’t really a horror story, but it certainly does have a dark and creepy tone to it. Awkward confession: I sometimes say “Mel Brooks” when I mean “Mel Gibson” or vice versa. I know, I’m a terrible person. 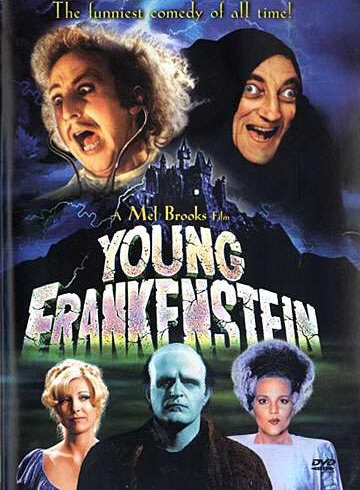 This movie was directed by Mel Brooks. That’s pretty much what you need to know about it. For the benefit of any readers who aren’t familiar with Mel Brooks’ work, I will helpfully add that it’s very, very silly. It’s a face that pretty much everyone would recognize. It has a kind and gentle expression and is framed by a medium-length light brown beard and long, wavy, light brown hair. The eyes are slightly downturned and can be either brown or blue; it varies from picture to picture. The face is a bit narrow with somewhat high cheekbones, and the nose is a little on the long and narrow side. That’s Jesus’ face. Of course, we are aware that our idea of what Jesus looked like is based on artwork and that we don’t know precisely what he looked like. In fact, his skin and hair were probably at least a bit darker, and the proportions of his facial features were probably a little less Caucasian. 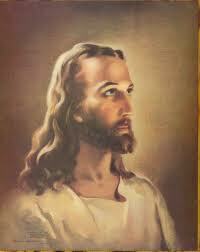 But we picture Jesus the way our artwork portrays him. The question is whether this has any theological implications. Some people would say yes. I have seen numerous internet debates that say or imply that it is racist to depict Jesus as being white just because we live in a culture where whites are a racial majority and middle eastern Jews are a racial minority, and that by inaccurately depicting Jesus’ appearance, we are misrepresenting his identity and worshipping a fabricated version of Him. Therefore, people who worship Caucasian Jesus are following a white supremacy religion. Granted, I’m paraphrasing the most extreme version of this argument that I’ve ever seen, and most people wouldn’t go nearly that far. And, of course, the first part of the argument is true. Jesus was not European, and it does seem to reveal the racist traditions of our society when we forget that Jesus wasn’t part of the racial demographic that is slightly most common and generally most powerful in this country. But does that necessarily mean that we’re worshipping a false Jesus if we imagine his appearance incorrectly? Keep in mind that the Hebrew and Greek used different alphabets from what is shown here, and that not every letter in one language’s alphabet has a corresponding letter in every other alphabet. For example, Greek has no sh sound. Along a similar vein, I saw something on youtube several months ago in which someone was claiming that Christianity is all wrong because we worship someone named “Jesus”, and that wasn’t His name. 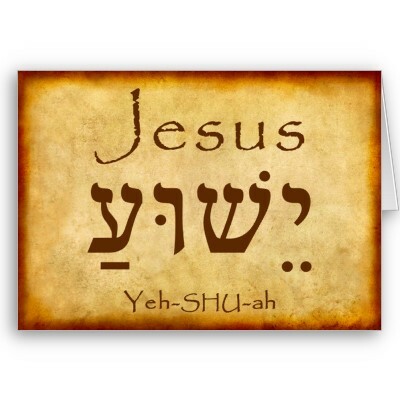 Jesus’ name probably would have been pronounced Yeshua (accent on the second syllable) in Aramaic and Hebrew, although not everyone agrees on that. Apparently, Galileans had a distinctive accent, and that has something to do with the debate. In the early church, the pronunciation of Jesus’ name changed over time because of the transition from Hebrew to Greek, from Greek to Latin, and from Latin to English. Considering the fact that there were different alphabets involved, this isn’t surprising. Incidentally, Joshua is technically the same name as Jesus, but it came through the translations differently because Old Testament names were transliterated straight from Hebrew to Latin without the Greek stage. 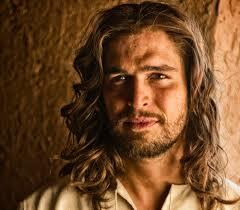 As the History Channel taught us, Jesus had beautiful hair. I wonder what kind of shampoo he used. In retrospect, I wish I’d used this issue as the topic for my final paper in my postmodern class my last semester of college. It has to do with the very postmodern question of how much meaning language has. The typically postmodern answer is that words are just words; they only carry any meaning at all because a large group of people agree to use them in a certain way, but their meaning is vague and transitory; there’s nothing inherently meaningful about a word, a name, or any symbol or artistic imagery that’s used to represent something. I don’t remember specifically discussing names in that class, but it seems to me that a completely postmodern thinker would have to conclude that the collection of sounds that we use to refer to people is entirely arbitrary and can change over time without any change in meaning, because it doesn’t actually have any meaning in the first place. The opposite approach, which is at least somewhat closer to what Hebrew culture assumed, is that a name is inseparably linked to the person who bears that name and that the name therefore does have meaning in and of itself. 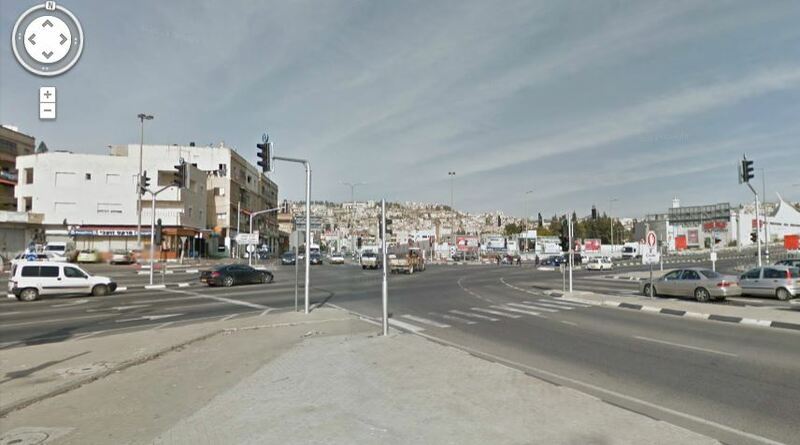 Google Earth tells me that this is what Nazareth looks like now. Of course, Jesus lived in a time and place when pretty much everyone was multilingual, and they were presumably accustomed to the fact that even people’s names can change between languages. Based upon the culture and political conditions surrounding Jesus’ life, and based upon the context of certain conversations described in the Bible, we can say with certainty that He knew both Hebrew and Aramaic and that there’s at least a good chance that he knew Greek. I’ve also heard speculation that he might have known a little Latin, although I don’t know whether or not there’s much of a basis for that claim. Most likely, Aramaic would have been his primary language. 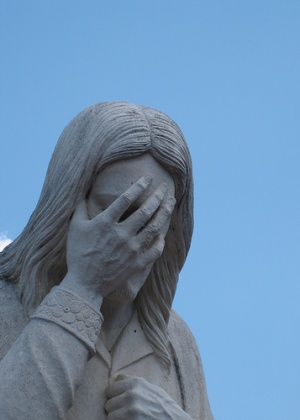 At any rate, Jesus probably heard more than one version of his name used during his life. Besides that, there are numerous titles used for Jesus in the Bible, such as Rabbi/Teacher, which his disciples often called him, and “the son of man,” which he frequently used for himself, and, of course, Christ/Messiah. If we’re going to insist that the exact set of sounds is what matters, we can’t allow any titles. But since Jesus himself was okay with them, that must mean they’re okay. While I disagree with the postmodern disregard for the importance and significance of words, I also think that it doesn’t make any sense to fixate on how a name was supposed to be pronounced in the original language. It’s true that there was something important about Jesus’ name in the original Hebrew, but that important thing isn’t the sounds, it’s the meaning. Most Bibles have a footnote on Matthew 1:21 and/or Luke 1:31 that tell us what “Jesus” means, but I looked it up in a couple other places as well in the hopes of finding more information than just a definition. 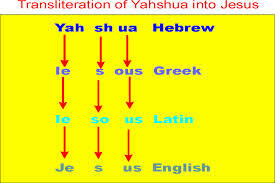 Yeshua is a shortened form of Yehoshu’ah, which is basically the name Hoshea (which means “salvation” or “he saves”) with Yeho (from YHWH, God’s name) added as a prefix. It literally means “God saves,” where God is specifically the Hebrew God of the Old Testament. Throughout the Old Testament, it’s pretty clear that the Jews had a thing about choosing names with relevant meanings. Jesus’ name wasn’t just a bunch of sounds, it was a description of what He was doing in this world. “God saves” is the message we’re supposed to be getting from the name of Jesus. 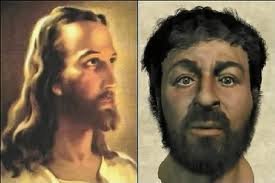 The image on the right was created by forensic anthropologists associated with the BBC, and is considered to be an accurate representation of an average Hebrew man from Jesus’ time and place. 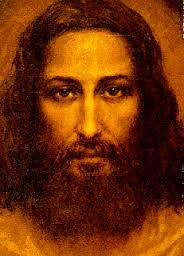 It seems to me that the issue of how we depict Jesus’ appearance is similar. There is room for philosophical debate about the relationship between identity, name, and appearance, (I would argue that a person’s name is more closely tied to their identity than their physical appearance is) and there’s also room for debating the social implications of incorrectly depicting Jesus’ race. It is certainly understandable that some people, particularly those who are part of racial minorities, would be troubled to see Jesus portrayed as if he was a European, and it doesn’t seem far-fetched to argue that this tradition in Christian artwork may have contributed to racism in Western ideologies over the last couple millennia. If that is the case, it certainly is sad, and it’s clear evidence of the fact that we are sinners. Even the most devout and well-meaning Christian is not immune to horrible, sinful attitudes towards other people. But it doesn’t mean that we worship a false Christ if we imagine Christ looking more like a European than He really did. 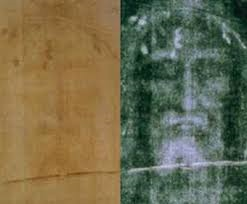 The image on the left is a picture of the shroud of Turin; you can see the faint image of a face, although it doesn’t show up well in the photograph. The image on the right is the negative, which shows the face much more clearly. It’s worth noting that our artistic images of Jesus were not randomly made up out of the blue by racist Caucasian people. At least since 1350, it has been speculated by many and believed by some that the shroud of Turin was Jesus’ burial cloth. It is marked with an image, believed to have been left by radiation, of the man who was wrapped in it, including his face. The shroud is shrouded in mystery and controversy. (Pun intended) If you Google it, you will find lots of articles about it that contain compelling evidence supporting conflicting opinions. Many believe that it was a hoax from the 1300s; many others believe that it does indeed date back to the early first century. In the last few decades, technological advances have allowed the cloth to be examined more extensively, and that has not ended the controversy or answered all the questions. Considering the fact that John 19:40 specifies that Jesus was wrapped in linen cloths, not a shroud, I’m not inclined to think that the shroud of Turin was Jesus’ shroud. (Yes, I’m aware that some English translations of the other gospels use the word “shroud”, but I’m pretty sure that in all three cases, the word σινδονι ought to be translated simply as “linen”, not “a linen shroud.” I could be wrong about that, but John 19:40 is pretty specific about how Jesus was buried.) At any rate, whether the shroud of Turin shows a genuine image of Jesus or not, some religious artists from many centuries ago believed that it did, and based their depictions of Jesus on that image without any racist intentions of making Jesus look specifically European. This picture was closely based on the face from the shroud of Turin, and looks very much like the popular image of Jesus’ face. I have heard it said by many professors and classmates that it’s helpful to write in books. At least in the realm of college education, this is considered a normal thing to do, and it seems to me that it’s especially standard practice for English majors. Maybe that’s because English majors are not only trying to commit facts and terminology to memory, but they are also making observations about how ideas are expressed. Word choice, reoccurring themes and motifs, and organization of the material are things that are worthwhile to note, both in literature and in literary criticism. I’m not saying that other fields don’t pay attention to these things, but they certainly don’t focus on them as intensely as literary studies do. 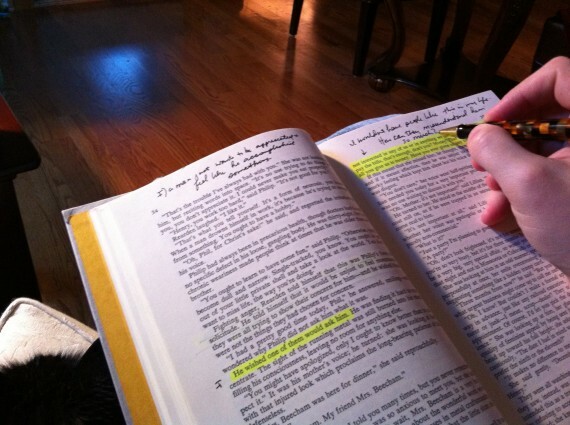 There’s a wide variety of things to be noticed and remembered, and it’s convenient to do so by taking a highlighter pen to the relevant passage or by writing specific notes directly into the book. I myself don’t write in textbooks, though. Throughout four years of college, the closest I got to taking notes a book was taking notes on a sheet of paper that I then folded up and used as a bookmark. There were two classes I took that had workbooks that I did write in, but I would argue that workbooks are a very different matter. They have blank spaces where you are specifically told to write, and you’re supposed to answer a specific question in that space. It’s the things you put in the workbook, not the printed text already in the workbook, that’s important. That just isn’t the same as writing in a book that is complete and functions without any directly tangible interaction from the reader. That doesn’t mean that there’s anything wrong with writing in books, and I wouldn’t argue that there’s any moral reason not to do so. In fact, students are and should be free to take notes in whatever reasonable way they find helpful. (I specify that it should be reasonable because I can think of a few note-taking methods that I’m not sure should be condoned, such as carving notes into walls or writing them on the faces of sleeping roommates. 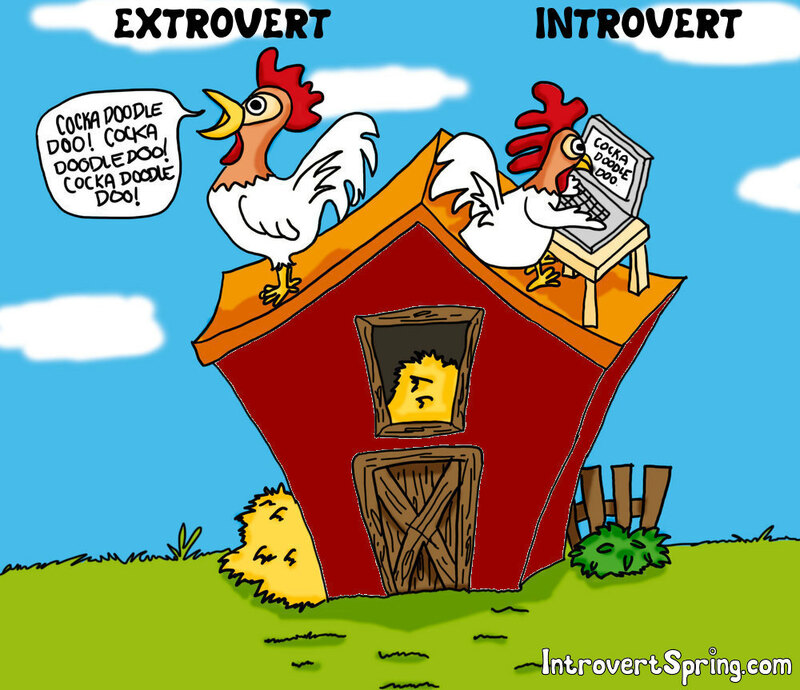 But as far as I know, neither one of these techniques is common practice.) It is just a personal preference of mine to avoid writing in books. Certainly, anyone should be allowed to write in a book that is their own property, if they so desire. With that being said, there are three reasons I can think of off the top of my head that I choose not to write in books. The first is that it’s too permanent. If I type something on my computer, I can delete or edit it, whether it’s ten seconds or ten years later. If I write something down on a separate sheet of paper, I can throw it away later or scribble over it or cross out words. I don’t necessarily want to keep every note I took for every paper I wrote because they may not have any significance outside of that assignment. Those ideas have been thought and I don’t necessarily need to have them written out anymore. But if they’re written in a book that I still have and will very likely read again, I’m stuck with them. (Yes, I am such a nerd that I have been known to keep and reread textbooks.) Those notes probably aren’t actually hurting anything, but they clutter up my book, and their lack of insightfulness will annoy me in the future if I wasn’t happy with that paper in the end. Finally, the third reason that I don’t like to write in books is that I have a sense of respect for books that I feel is violated by adding things to them. 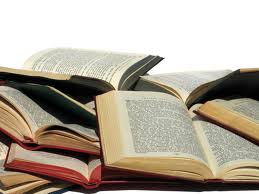 Not all books contain great insight and wisdom, but all books are the product of the time, effort, and applied skill of people who felt that the book had some value, and I think that means that every book is valuable in some way. Admittedly, this doesn’t keep me from occasionally storing my books in stacks on the floor. (It’s a perfectly valid storage system in theory, even if it is less traditional and less aesthetically pleasing than the use of bookshelves.) But it does keep me from adding my own words to the pages of a volume that is complete without them. It seems to me that writing notes in a book is like thinking about the Star Wars prequels while watching the original trilogy. Just because they’re about the same things doesn’t mean that they’re of the same quality, and it ought to be remembered that the original work is what ought to be getting the attention. The I Hate Mathematics! Book, by Marilyn Burns, copyright 1975. Yeah, it’s pretty old. There was a book that I needed to buy last week, and I found that it would cost me less money to buy four books than just the one. Evidently, Amazon determined its shipping costs on Logic’s day off. I don’t know whether to thank Amazon or Logic for that, but someone deserves my gratitude, because I have frequently managed to save money by buying extra books, and over the years, that has really added up to a lot of saved money and a lot of acquired books. In this particular case, one of the extra books I bought was something random that I remember from when I was a little kid. If I recall correctly, one of us picked it up at a library booksale where everything was so cheap that my parents let us buy everything that particularly struck our fancies. 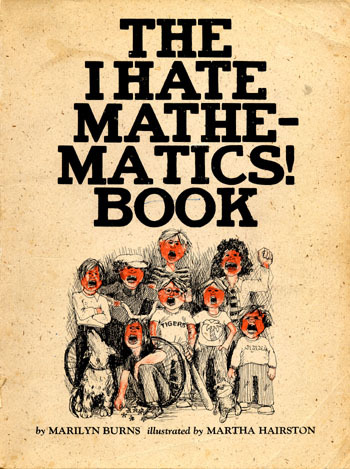 It was called The I Hate Mathematics! Book and it’s awesome because it’s so completely relatable. I’m not saying that just because of the title, although that is part of it. When I was little, I remember my mother telling me that she thought I actually liked math, I just disliked math class. The I Hate Mathematics! Book is clearly geared towards that kind of kid. After an introduction that bashes math, it goes on for more than a hundred pages to describe mathematical concepts in a way that has nothing to do with arithmetic or equations or anything frustrating like that. For example, a few pages in, it says, “Ever find yourself thinking about shoelaces? You might be minding your own business, doing nothing in particular, and all of a sudden you start thinking about shoelaces. Then you start noticing shoelaces. Strings tied to people’s feet! And the longer you look, the funnier it seems. That’s when to do a shoelace survey. How many shoes have laces? Half? More than half? Less than half?” The book goes on to recommend sitting near a busy sidewalk and counting shoes and shoelaces for a while, just for the fun of playing with statistics. 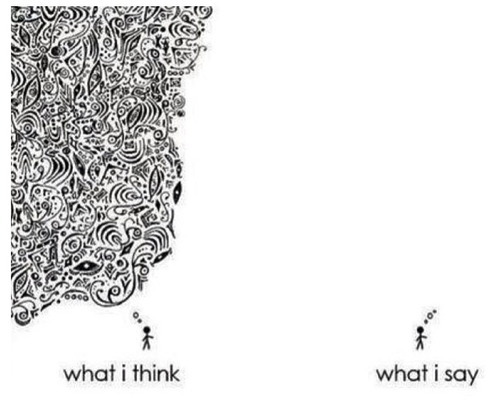 That’s exactly the way my mind worked as a kid and it’s exactly the way my mind still works. My little-kid self thought it was awfully cool to read that kind of thing in a book about something as frustrating and hateful as math. The tone of the book is humorous and light-hearted, the information is presented in a way that makes everything seem like a game or even a practical joke, and it feels like a very light and easy read because the text is fairly sparse. (The book consists largely of sketched drawings, some of which show people with speech bubbles repeating things that were said in the main text, which is for some reason very funny.) Besides that, it was helpful and motivational to read something that showed that there’s more to math than sheets of scrap paper covered in disorganized equations and crossed out numbers and dark, harsh scribbles that symbolized the agony of living in a world that is an evil, evil place, full of hardships and heartbreak and math. Maybe it would be an overstatement to credit this book alone with the fact that I have more or less made my peace with the academic field of mathematics and even ended up minoring in it in college. (I say “more or less” because, dude, math is hard, and there was a great deal of suffering involved in certain homework assignments and exams that I endured for the sake of that minor.) I suppose it may be true after all that I always had some degree of appreciation for mathematical thought, and just didn’t realize it when I was younger. But this book certainly played a role in convincing me that numbers are actually pretty fascinating things. When I got this book in the mail the other day, I stayed up late to read the whole thing in one sitting, and I noticed some things about it that hadn’t occurred to me when I was a kid. 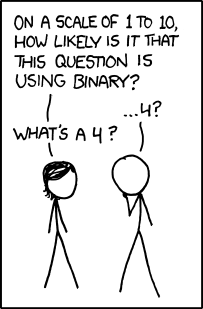 In particular, I noticed that it has an awful lot of question marks. It’s full of “What if”s and “How about”s. For every experiment that this book suggests, it encourages the reader to keep thinking about different aspects of the concept being discussed. For every magic trick or practical joke or bet that it describes, it expects the reader to figure out how to make it work. It doesn’t just point out patterns, it asks the reader to notice further patterns or to speculate about why that pattern exists. Even the section about strategic games, which promises that you can always win if you figure out how the strategy works, doesn’t actually explain the trick. You have to figure it out yourself. I didn’t have all of these answers figured out when I read the book as a kid. And that was okay; it didn’t detract from my enjoyment of the book and it didn’t make me apathetic about the subject material. It was apparent that these were deliberately difficult questions and that a reader wasn’t supposed to know everything off the top of his or her head. That’s one reason that this book was interesting and entertaining, unlike a textbook, which inflicts anguish and despair. A puzzling question is a game if you get to decide for yourself how much effort to put into it, but it’s an unwelcome task if you are required to find the answer and responsible for being sure it’s right. Another thing I noticed is that this book has a lot of big words for something that’s geared towards kids. (I’m not sure exactly what age range it’s intended for, but if I had to take a guess, I’d say maybe nine through twelve. 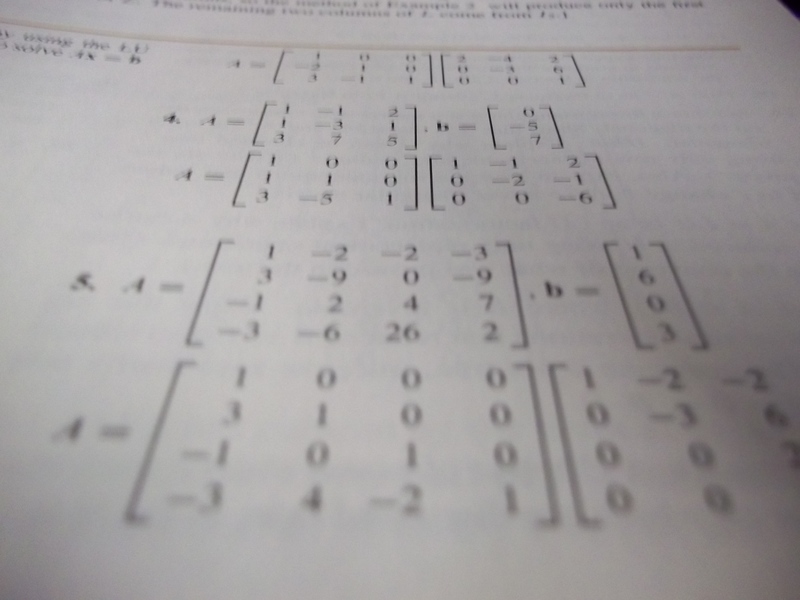 The mathematical content seems to be at a pre-algebra level, but it assumes competency with basic arithmetic.) For instance, I’m pretty sure that the first time I came across the word “topography” was in this book, and that’s not a word I come across very often even now. It mentions or alludes to exponents and exponential growth, probability theory, and numerous other concepts that you wouldn’t expect a little kid to understand until they’re old enough to officially learn it in math class. But when I read it the first couple times, I don’t recall minding that there were parts of it that I only was just barely capable of grasping. The point is that I did grasp those parts, and that it was pretty awesome. This book assumes that its readers are smart and thereby subtly compliments them the whole time they’re reading. Occasionally, the book is even explicit and direct in its high regard for its own readers; the introduction identifies the individual reader as a mathematical genius in disguise. That in and of itself does a lot to make this book enjoyable and effective. Everyone likes to be told that they’re a genius, especially if they’re accustomed to being horribly frustrated by schoolwork despite the fact that they do have some degree of aptitude for the subject matter after all. I CAN SEE THE MATRIX! I have frequently said that the problem with math is that the kinds of people who write math textbooks are the kinds of people who inherently understand mathematical ideas and don’t know how to communicate them to someone who just doesn’t think in the same way. What makes this book so great is that it’s written in plain English for kids who understand plain English better than confusing equations. But it does that without dumbing down anything. I’m not trying to claim that such a book can be used to effectively teach math. It doesn’t offer formulas or mathematical procedures for solving certain types of problems; those are things that have to be learned by effort and memorization, not through pleasure reading. But I would recommend this book in particular and this way of looking at math in general for any mathematical geniuses in disguise who hate mathematics. I have a very clear childhood memory of siting at a tiny little table in a room full of toys, coloring a picture of different types of telephones and then crossing them out while listening to someone explain that you can’t call God on the telephone. 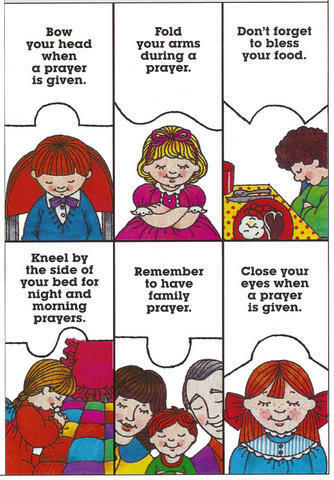 I was five years old and it was part of a Sunday School lesson on prayer. 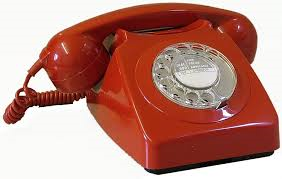 To my mind, it seemed that I was being taught a great theological truth about the nature of God and telephones. This idea was reinforced by the fact that “You can’t call God on the telephone” was a maxim that was repeated whenever prayer was the topic of a Sunday School class for the next several years. 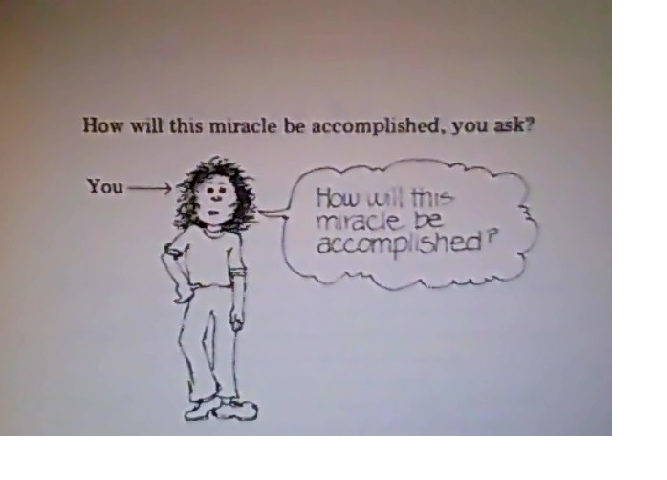 Apparently, this is considered a good way to begin discussing prayer with small children. *sarcasm alert* Look, kids, Jesus can’t hear you unless your head is bowed! That strikes me as being extremely odd. Evidently, the point was to distinguish prayer from human-to-human conversation, but why is that such an important point to make? Why do people think that it’s the first and primary thing about prayer that young children need to know? Wouldn’t it be more significant to point out that prayer actually is sort of like talking to a person, and that it’s a really special blessing to be able to talk directly to God? Besides, it’s not as if a telephone somehow blocks prayer from reaching God’s ears. If someone was to pray while holding a telephone to their face for some reason, that wouldn’t negate the prayer. But that is also an unnecessary point to specify when defining prayer for children, because the topic of prayer is not intrinsically linked to the topic of telephones. At least in my case, the discussion of telephones was a distraction from the subject of prayer, not an instructive illustration of the concepts being taught. Cutting out pictures of butterflies is a very edifying activity. Little-kid Sunday School, at least as I remember it, relied on a lot of canned phrases and irrelevant craft projects to discuss things in vague terms that would have been better if they were just taught explicitly. We were told over and over again that “God is everywhere” and that we were supposed to “Always trust in God” without any additional explanation or discussion of those concepts. Old Testament stories were taught as if the whole point of them was how righteous certain “characters” were and how we should be just like them. 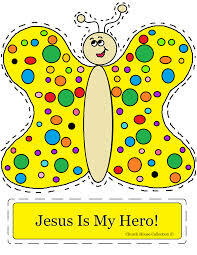 Bible stories from the gospels were learned by coloring pictures of Jesus and talking in vague terms about how loving Jesus is and how He always cares for us. The epistles were completely ignored until around fifth or sixth grade, at which point those teachings were incorporated into Sunday School lessons by having each student look up a certain number of verses, all taken out of context, that related to a certain theme. That theme was sometimes moralistic (like how important it is to love everyone) and sometimes encouraging, (like how God doesn’t want bad things to happen to Christians) but it was always something fairly vague and rarely had to do with salvation and justification. Instead of learning the Ten Commandments or discussing Law and Gospel, we looked at cartoons of children engaged in various activities and pointed out which ones were misbehaving and which ones were being good. Coloring on the walls is bad, setting the dinner table is good, pulling people’s hair is bad, and helping a friend who fell down and scraped his knee is good. Maybe the occasional Sunday School lesson happened to mention Jesus’ crucifixion and the forgiveness of sins, but if it did, that was a trivial point compared to the primary purpose of telling stories illustrating goodness and badness, or reminding us that God is [insert any generic adjective with a positive connotation]. 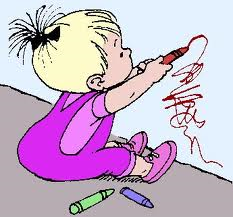 When I was little, I thought that coloring on the wall was an unforgivable sin, because Sunday School kept telling me how naughty it was. For teenagers and preteens, most Sunday School lessons try very hard to prepare students for the possibility that they will have to defend themselves to peers who may tease them for going to church. I remember many, many lessons that involved watching videos or looking at stories written in comic book form, showing a Christian teenager explaining to his/her friends that he/she can’t participate in a certain social event on Sunday morning because he/she had church. The friends would laugh at the protagonist, say that church wasn’t important, and (horror of horrors) call the protagonist a “religious nut.” Then the protagonist would resist peer pressure, meekly walk away from the conversation, decide that those kids are terrible people and bad influences with whom no Christian can be friends, go home, do his/her chores and homework, and read the Bible for an hour before going to bed and getting at least eight hours of sleep because that’s the right thing to do. He or she is a good and faithful Christian, everyone else is bad and should be avoided, and the lesson is over. Don’t get me wrong, there’s nothing bad with teaching kids moral values, emphasizing the greatness of God, or warning teenagers about peer pressure and anti-Christian sentiment in popular culture. But I don’t understand why most adults think that children can’t understand anything beyond empty clichés and the distinction between good and bad. It would be so easy to take a stereotypical moralistic Sunday School lesson and expand it into a meaningful Law/Gospel lesson by adding a few words to the effect that Jesus died on the cross to pay for all our sins. That’s not an intellectually challenging concept; at least one of my younger sisters was able to articulate it as soon as she was old enough to talk in sentences. It would be so easy to take a popular theme or Bible story and expand it into a meaningful message by taking the fluff out of Sunday School lessons and using that time to read entire Bible passages instead of individual verses. It would be so easy to remind Sunday School students what their church teaches in addition to what their friends are likely to think about their church. Little kids would benefit a lot from having some substance in their Sunday School lessons, and older kids would benefit even more because their lessons tend to follow an even narrower theme than little kids’ lessons do. Just because teenagers face peer pressure doesn’t mean that all they need to hear is how important it is not to give in to it. Kids, don’t give in to peer pressure or Jesus will be sad. It’s true that Christians are subject to hurtful stereotypes, especially on the internet, and that Christians do sometimes experience peer pressure that will try to turn them away from the church. It is very true that Christianity is distinctly set apart from the secular world, which is why “secular” is even a word in the first place. And it makes sense to occasionally warn teenagers about the anti-Christian messages that they will often encounter. (Here, I use “anti” both in the sense of “opposed to” and in the sense of “instead of”) But despite the non-Christian values of our society and the negative view of Christians that is propagated by certain aspects of the media and held by many individuals, this culture is still a very safe and easy place to be a Christian, at least in comparison to many parts of the world. In this country, not only is it legal to be a Christian, but it’s fairly normal. Peer pressure and anti-Christian stereotypes are issues that Christian teenagers face in this society, but it isn’t exactly the constant hardship that Sunday School lessons tell them to anticipate. For one thing, Christianity is common enough that most Christian teenagers have friends who share their faith and would never tease them or alienate them for their beliefs. Besides that, very few atheists will suddenly dump a best friend for being Christians. Sure, religion does occasionally tear relationships apart, but it’s unlikely that those kinds of issues will occur out of the blue sometime when someone teases you for going to church on one specific Sunday. I myself have never been directly and specifically mocked by a peer for being a Christian. There have been occasions where someone has questioned my values and beliefs or has expressed surprise and confusion about my unwillingness to skip church on a whim, but (unless you count the occasional hateful anonymous internet comment) I have never been victimized on account of my religion. But there’s something else I have encountered quite a lot, something that Sunday School never told me might ever happen. People ask me genuine, sincere, curious questions about religion all the time. Atheist or agnostic friends are curious about what exactly Christianity is all about, non-Lutheran Christians wonder what exactly Lutherans believe, and occasionally, people who are completely on the same page as me want to hear what I know about a particular topic. It’s a good thing that I go to church and Bible study regularly and grew up in a Christian home, because Sunday School alone wouldn’t have prepared me to be able to give even the most basic explanation of what my religion is. As it is, I admit that there have been a number of cases in which I have responded by mumbling something random and inarticulate that may or may not have resembled actual words. But there have been quite a number of other times where I have had a very interesting theological conversation with someone who genuinely wanted to hear about my faith and who had no intention to respond with insults or mockery. Those kinds of conversations are always good experiences, and I’d like to think that the other person gets something out of them, too. 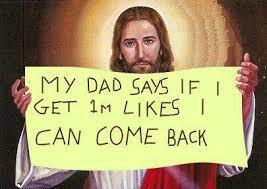 LIKE AND SHARE IF YOU LOVE JESUS! At any rate, I think it’s an important thing for Christians to know and be able to articulate what they believe. It seems to me that Christianity in general is following the dumbing-down trend set by Sunday School lessons. Just take a look at the ways people express their faith on the internet. It’s impossible to avoid the “share if you love Jesus” facebook posts and the inspirational “Christian” quotes that have nothing to do with Christ. When we were kids, we were taught that faith means being good, or being able to tell when other people aren’t being good, or resisting peer pressure by letting everyone know just how much we love Jesus, or making generic and vague statements about how good God is. So that’s what Christianity means in our culture now. And, based upon what I have seen and heard, the result is that some Christians and most non-Christians really are unaware of what Christianity is. People actually don’t realize that Jesus’ death and resurrection is what’s important, and that the central teaching of Christianity is that His death and resurrection gives us salvation from our sins. That’s a much more important teaching, not only for the grownups, but for people of every age group. When it comes down to it, there’s no distinction between Christian teachings for kids and Christian teachings, because kids should be allowed to know what their religion says. I got a facebook account when I started college back in the end of August 2009. 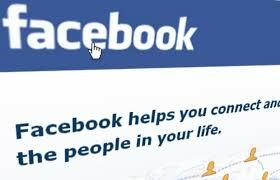 The main purpose of facebook and other social networking sites is to stay in touch with people, whether that means old friends that you haven’t seen in years, current friends and acquaintances who you don’t see as often as you’d like because you’re all so busy, or people who you actually do see all the time. I also use facebook as a repository for memories; there’s an awful lot that comes back to mind if you look through your old pictures and statuses. But perhaps the most noteworthy purpose of facebook, at least in my experience and opinion, is to publicly say whatever entertaining things pop into my head. 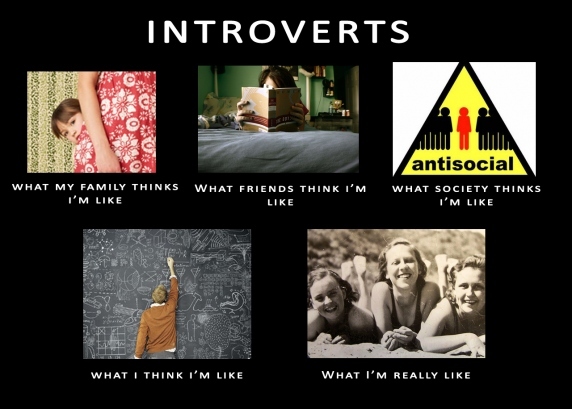 That’s the cool thing about the internet; I get to choose what sorts of ideas I do or do not feel like communicating to the world, and I have all the time I need to think about how I want to say them. That way, I am perceived according to things that I decided I wanted to say, instead of by the awkward situations that happen in that thing we call “real life,” where there’s no backspace key and where you don’t have the option of reading something one more time before clicking enter. But another thing about the internet is that, despite the fact that stuff stays there indefinitely, it’s only recent things that get noticed. That’s true about content like news and viral videos, but it’s even more true about the facebook posts of a non-famous individual person. So all of my old facebook posts are essentially gone, even the ones that were clever or funny enough that I would have liked it if they could somehow remain on my permanent record as things that people think of when they form opinions of me. That’s part of the reason that I found myself looking at old facebook statuses yesterday afternoon and making a list of the ones that I liked. Another reason was that it was fun and that it brought back a lot of memories. At any rate, I collected about eight pages of facebook statuses that still made me laugh or that seemed worthy of remembering for any number of other reasons. I have cut that list down a little for the sake of brevity. (If you can call a 1250-word blog post brief) Here are some of them, listed in backwards chronological order, that I don’t really want to fade into the oblivion of old internet content. They say that a penny saved is a penny earned, but I think that a penny saved should be two pennies earned, because that would be a useful source of income. Watching television is the lazy version of dreaming. Go vote today, and they’ll give you a sticker! That’s incentive for ya. In the middle of the night, I reset my clocks for the sole purpose of saving the daylight. But then, when I woke up this morning, it was cloudy and gloomy, so I could only conclude that my efforts had failed. Sorry, daylight. I did all I could. It has just occurred to me that “Schrodinger’s Cats” would be a great name for a band. Now I need to learn how to play some musical instrument. Holy Communion: It’s edible salvation, because God is awesome. I did things before they were cool before it was cool. I’m thinking about running for President of the United States this November. I realize that someone has to be at least 35 years old to be president, but nowhere does the Constitution specify that we have to count our ages in base 10. In base 5, I’m already 40. You aren’t really your own worst critic unless you’re an only child. I put pen to paper with the intention of creating a shopping list, but instead, the result was science fiction. 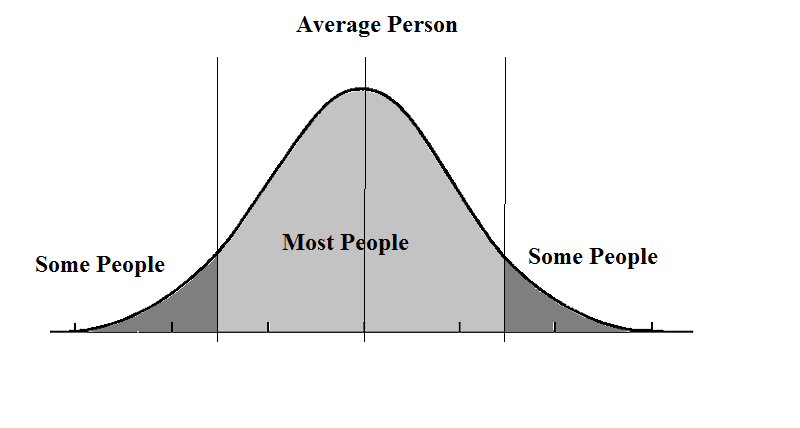 Phrases from statistics class that would be awesome names for bands: “The Outliers”, “Linear Regression”, “Interquartile Range”, and, best of all, “The Standard Deviation”. You know you’re both a sore loser and a nerd when you stastically analyze all 1215 rolls in a game of risk played a couple weeks ago in order to prove that your rolls were significantly lower than the overall mean, and that it was therefore totally unfair that you lost. My brother and I model our conversations on calculus. We go off on tangents at every point. It was my intention to go to bed early last night. Instead, I went to bed early this morning. I’m not entirely sure whether the word ‘finals’ is an acronym for ‘Foolishly, I never actually learned stuff’ or ‘First, I need a little sleep.” But it must be one or the other. Five more days to finish four more courses with three more exams, two final papers, and a partridge in a pear tree. Last night, I succeeded in getting to sleep before midnight. If by midnight, you mean, like, one o’clock. And if by ‘before’ you mean ‘not too long after’. Either I need to stop being so distracted by the red squiggly lines appearing under all my words, or I need to learn how to spell. It’s kind of like Schrodinger’s cat. If I don’t look at my history test, does that grade really exist? As long as I don’t know what it is, is there still a chance I can improve my grade by finding a four leaf clover or something? I am not going to give my life to God, because he has already purchased it, and incidentally, he paid a lot more for it than what it was worth. Polka music is like fruitcake. I know people aren’t supposed to like them, but I can’t help it. family, noun: A group of people who all know the same silly songs and sing them frequently in random situations. I would like to point out to Santa Claus that all my sins have been forgiven through Christ’s death and resurrection. Studying gives me attention deficit disor- I should move that blue ornament a little higher on the Christmas tree. Homework is like a scary bumblebee. If you just ignore it, it doesn’t really go away. I was going to procrastinate today, but somehow I got busy with other things, and now I’m going to procrastinate tomorrow instead. My house: The place where mealtime conversations revolve around such topics as Star Wars, the difference between various blood types, the execution of Anne Boleyn, and the question of whether or not tornados are life forms from other planets. Gud spehling iz foer peepl hoo lak creeyativitee. Late to bed and early to rise leads to fatigue and bloodshot eyes.